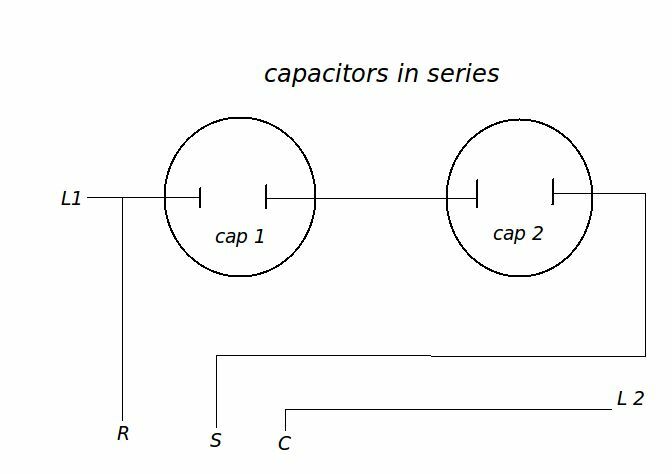 Capacitors in series can never be bigger than the smallest size in the series so a 5uf & 85uf will be smaller than 5uf. 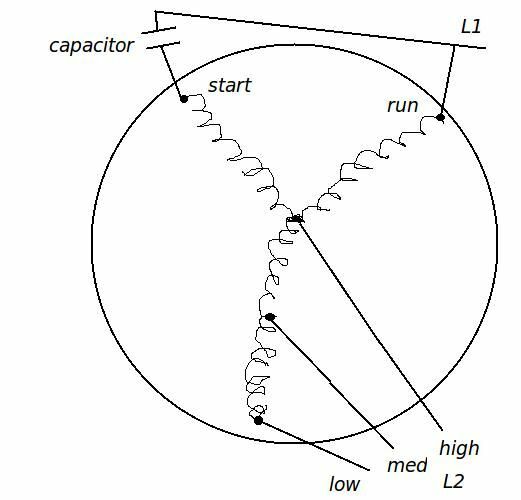 Motor info: If you look at the diagram of a multi-speed motor, the speed taps actually all connect to the common motor winding. This will find the amp ratings for lower speeds when only the high speed amp rating is given. To find the lower amp ratings enter the motor amp rating in the first (amp rating) field. Then enter the resistance for each corresponding speed. Multiply the max amp rating by the resitance from C to High. Take the result and divide it by the resistance measured from C to another speed. C to High = 19 ohms C to Med = 25 ohms C to Low = 31 ohms. 19 x 2.9 = 55.1 now divide that by the different ohm readings you get from the different speeds. 55.1/25 = 2.20 amps med.